Magical, Mystical and Beautiful Yoga Courses in India!!! Sign up for an amazing journey within!!! At Vishuddhi, we offer yoga courses in India for people who already practice yoga but wish to take their practice to the next level. Maybe you have attended a retreat, or other online classes, but these efforts could not give you the discipline that is required to achieve a the life transforming potential that yoga has to offer when engaging in regular practice, or maybe you can’t travel all the way to India due to personal or work / family compulsions. Now, It’s possible for you to learn our courses siting right in your room in front of your computer screen. Unlike other online sites our yoga classes in India are interactive, meaning you can communicate with the instructor, ask questions, be corrected by the instructor and also interact with other students in the class. Vishuddhi has opened up online courses because on request from older students. Our courses are unique because they are interactive and we only allow small groups of up to 8 students. Unlike other online sites we are an actual physical Yoga School located in South Goa, India. We do not offer a wide range of courses which you can surf between and join a course depending on your mood of the day. We offer serious courses for serious and dedicated students. We have a fixed schedule and syllabus. Although you participate from your own living room, you are in a committed class where you are expected to attend the course regularly for the benefit and higher awareness of all participants. At Vishuddhi we believe that commitment, discipline and social interaction is the basis for all learning. We have decided to transfer this through the virtual medium, because maximum benefit can be achieved through regular practice and few people have the discipline and time to attend a Yoga school and practice on a daily regular schedule in their hectic lives. We do not have online teacher certification courses of asana course online, as we believe this needs to be taught in live classes. However, we do offer other Yoga & Ayurveda certificate courses for interested students. For subjects such as Pranayama, kundalini Yoga, Ayurveda diet and nutrition and Yoga philosophy online courses have many advantages. The principal one being the time it saves in an everyday hectic life. You have prior experience with yoga but have a deeper desire to take it to the next level, but lack the knowledge and discipline and time to do practices that help you balancing yourself and finding your true inner self. You have a desire of going deeper into a yogic mindset, but you lack the time to go outside your home for classes on a regular basis. You have a desire to learn from enlightened teachers trained in the ancient Vedic tradition of Kundalini Yoga and Philosophy but unable to commit time and money to travel and do residential courses for now. The idea of getting to know people from all over the world from your own room appeals to you. If you fit our profile, then you are the ideal applicant for our online courses!!! We offer help and guidance by giving the discipline and knowledge that helps you to grow and go deeper into yourself. We assist people living hectic lives that does not allow time for systematically, regularly and disciplined following a course outside their own home. Note: Two days in a week would be decided based on student’s and teacher’s schedule, though you can give your preferred days. Prana means life force or vital energy. Pranayama practice is actually a pathway to rise spiritually. Your mind is like an uncontrolled horse which doesn’t want to rest and be still. It is the biggest obstacle on the path of our self realization as you are always immersed in the five states of mind and thus trapped in the clutches of Maya (Illusion). For spiritual advancement, you must learn to be a master of our mind and make it your slave rather than the reverse. You need to use the mind as an instrument and medium not as a mean. The only way you can gain control your mind is through your breath. Once your breath is mastered and controlled, your mind surrenders like a tamed cat. Practice of Pranayama controls your breath. Initially it makes our breath full, deep, slow and rhythmic and later on it starts quieting our mind slowly and gradually. The spiritual seeker requires tranquility of mind as a prelude to a spiritual practice. Many Pranayama techniques like Kumbhaka (Breath Retention) actually establishes control over the flow of prana (life force), calming the mind and thus establishing control over the thought process. This course is for beginner’s if you have not practiced Pranayama in your Yoga practice yet, or have not completely understood and learnt in a structured way. It is also helpful for advanced practitioners if Pranayama was never a part of your personal practice and if you would like to extract immense benefits of techniques such as Yogic Breaths and breath of fire to achieve complete transformation. Starts from May 2019 onward. Inquire now for registrations and further interest!! Kindly email personally well in advance to know about the schedules within these months. There is nothing magical about kundalini awakening – but its effect may be!!! With regular practice anyone can experience kundalini awakening. It does not happen over night and it is unlikely to happen during a short retreat. It is a matter of regular practice and proper guidance by an experienced Kundalini teacher. If you practice everyday regularly your Kundalini energy will inevitably raise and you will become a more happy, relaxed and harmonious person, reaping benefits in every aspect and dimension of your life. If you practice in the correct way you are also likely to experience other effects as being more energetic, having clearer senses, being less prone to diseases, becoming physically younger than your biological age, being more focussed and less stressed in your life and not in the least experiencing more compassion and love towards other people. You are also highly likely to experience Kundalini awakening, although everything takes time, and you may need patience. Very few people have the time and physical possibility to attend a yoga class at a yoga institute four days a week to raise their Kundalini energy. They want to do it. But its very hard without having the proper guidance and disciplined contact with an experienced Yoga teacher. If you have a wish to take your yoga practice to the next level, but you don’t have the possibility to go to a yoga institute 4 times a week which is required to seriously raise your Kundalini energy, then a kundalini online course is designed for you. During this course we will teach you the basic techniques of kundalini yoga that will help you awakening your kundalini energy. If you practice kundalini yoga regularly the quality of your life will improve. You will become more balanced, harmonious, energised and happy. And with time, if you practice consistently, you are likely to experience the magic of kundalini awakening. The Kundalini is untapped energy at the base of the spine that can be awakened and raised up through each of the seven chakras from Mooladhara to Sahrshara. Full enlightenment occurs when this energy reaches the crown chakra (Sahrshara) above the head and our consciousness after purification becomes one with the super divine consciousness.Each Kundalini and Tantra Yoga Asana series is conducted with a specific breathing technique that intensifies the effects of the poses with the purpose of freeing energy in the lower body and allowing it to move upwards. Kundalini sequences (called Kriyas) may consist of rapid, repetitive movements done with in conjunction with a designated breathing method or holding a pose while breathing in a particular way or simply meditating other times. Our Kundalini Yoga class begins with a short chant followed by a warm-up to stretch the spine and improve flexibility. The main work of the class is called a kriya, which is a proscribed sequence of poses, moving consciousness within chakras, mudras and pranayamas that focuses on precise energy centers of the body. The class ends with a meditation or Yoga Nidra and a closing spiritual prayer. If you have no prior experience with doing pranayamas (breath practices) then we recommend you doing a pranayama course before you join this course, because you will benefit multiple times more from your Kundalini course if you have your breathing techniques and life energy working in a proper way. If you have no understanding of basic Yoga Philosophy ( patanjali Yoga Sutras ) then you might have to finish Karma Yoga and Yoga Philosophy course as well before this course. For beginners. In this course we will gradually do Kriyas that aim at awakening each of the 7 chakras, one chakra per week. We will also begin some Kriya Yoga integrating practices. You will also gain knowledge on the chakras and Kundalini Yoga Philosophy. For more advanced practitioners. 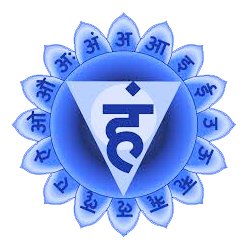 In this course we will work with Chakra Sadhana Program. The level and intensity of the practice would change and differ as you enter from level 1 to 2. Each session will end with a Kundalini meditation. Starts from July ( first week) 2019 onward. Inquire now for registrations and further interest!! Special Note: This course is no way a substitute of serious advanced Kundalini practices which you are supposed to do at later stages being physically present with your master or Guru. All online courses including this one has limited scope and for getting more in-depth experience, you might still need to stay in the ashram or Yoga school and learn practically from awakened and experienced teachers. This course is aimed at true inner spiritual engineering. We often try to solve our problems by fixing the outside world while forgetting that before we can fix the outside world we need to fix ourselves from the inside. Rather than attempting at ’outer engineering’, we therefore need to focus our energy on ’inner engineering’. You will be introduced to a Yogic way of living and benefits of following these age old principles which are even more relevant now than they were thousands of years ago. You will gain knowledge on Yoga philosophy, Patanjali Yoga Sutras, Yama Niyam and Pratyahara and use these learning to uplift your spirit, mind and body. Apply Yoga Philosophy directly to your life to increase joy, express gratitude, and transform unhealthy desires, release problems, anger, frustrations and imbalances of your mind. Live with a Yogi consciousness and change everything without changing anything as the change must be within us not outside. This course includes practical, insightful and clear commentaries on Yoga Sutras, Yoga Philosophy and Srimad Bhagwad Gita by Yogacharya Pradeep. We look forward to sharing this ancient life Philosophy with you!!! Starts from June 2019 onward. Inquire now for registrations and further interest!! Kindly email personally well in advance to know about the schedules. Please email us personally to know about schedules, course fees and other terms and conditions applicable for registration April 2019 onward.